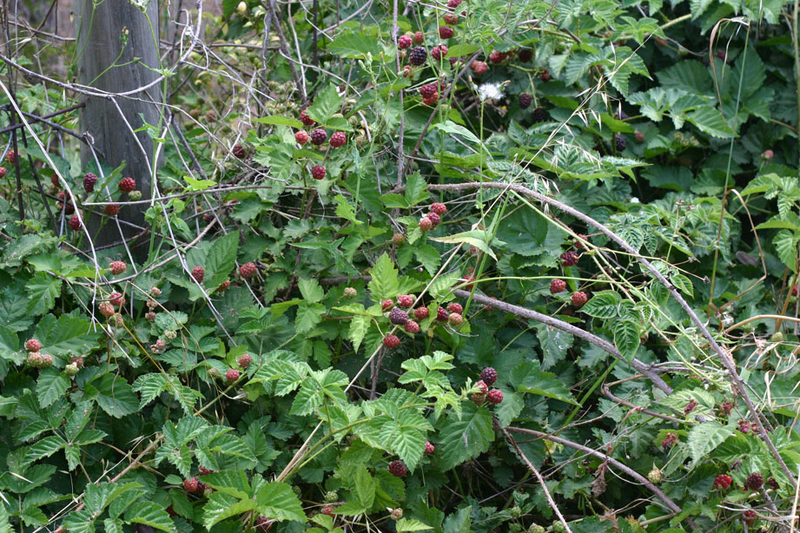 Loganberry is a spreading or climbing shrub that grows about 4.5 m high. The plant is found growing in relatively cold-tender and thrives best in areas with mild winters and warm summers. 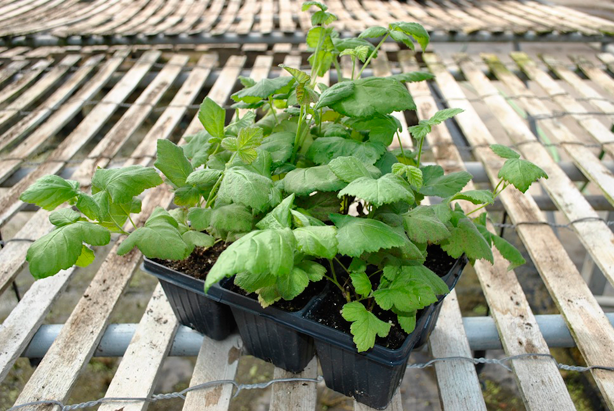 The plant prefers well drained, humus-rich, loamy soil and is best trained on a wire trellis or other structure. The plant has terete, glabrous stem with soft prickles 3–6 mm long. Leaves are imparipinnately compound, with 3, 5 or rarely leaflets; the terminal leaflet is larger than the rest. Leaflets are sparsely pilose below, broadly-ovate and acute to acuminate tip, rounded bases and coarsely serrated margins and on 3–8.5 cm long petiole. Inflorescence is sub corymbose with 6–12 flowers. Sepals are rarely with prickles. Petals are 12–18 mm long by 7–9 mm wide, elliptic, white. Stamens are normally shorter than styles. Ovoid to oblong, aggregate fruit is as large as the largest size blackberry and is of the same shape, with globules similar to that fruit. Fruits are initially green, ripening dark red to dark maroon to purplish-black. Fruits are pleasant, mild, vinous and delightful to the taste and are normally used syrup, jam, and juice. It can also be a complementary menu of your salad. 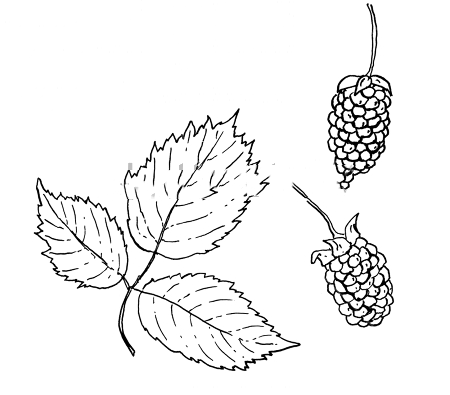 The loganberry, a hexaploid, is usually supposed to be derived from a cross between the European red raspberry and the American blackberry. It was in fact accidentally created in 1880 or 1881 in Santa Cruz, California, by the American lawyer and horticulturist James Harvey Logan (1841–1928). It is largely grown in Oregon and Washington in USA. It was introduced to the United Kingdom around 1899. It is cultivated in England and in Tasmania but has escaped and become a weed in Western Australia. Even though the Loganberry was created to make a fruit more superior than its origins, it does not have the commercial value of other its parent berries, mainly due to its acidic nature and its lack of shipping and storing qualities. Cancer is considered as one of the most common and hazardous disease nowadays. Research has shown that the fruit can fight against numerous cancers. As an example, vitamin C present in it can help prevent Lung Cancer. It can even help prevent prostate cancer. If you are at risk of developing the diseases including the fruit in your diet can be an excellent idea, but always make any health-related decision with the permission of a doctor. To live a healthy life, you just need a healthy body as well as healthy mind. 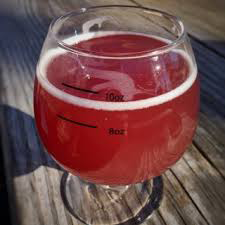 Loganberry helps to keep brain strong and robust. Since they are rich in thiamine, it is wonderful for a healthy nervous system. Apart from that it has the magical ability to repair damaged nerves. It also acts as a calming agent and helps to relax the body. Folic acid and manganese present in fruit helps to improves DNA synthesis and the general health of our neurological system. Adding Loganberries to your diet is considered a perfect way to keep your entire body as well as mind healthy. Loganberry is quite beneficial for proper functioning of your hearts. 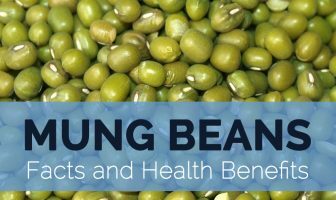 Manganese found abundantly in it acts as an antioxidant and deals with several harmful free radicals. Frequent use of these berries helps to prevent numerous heart diseases. It is particularly suggested for people who are at risk of a heart attack. Eyes are considered windows to your soul and an entire door to enter the rest of the world. It is important to keep them in good shape and take good care of them as much as possible. Loganberries are considered wonderful for your ocular health. They can fight against macular degeneration, which is actually an age-related disease. It usually appears after 50 years of age and causes loss of vision. Loganberry is one of best option for keeping your bowel movement up and running so that you can enjoy the rest of your day. Nearly 20 percent of a Loganberry’s weight is fiber. It not only washes the harmful substances out of your body but also gets rid of constipation. It can also reduce the chances of gastrointestinal diseases, weight problems, and diabetes. As we all know that skin is the largest organ of our body. It is important to keep them healthy and young for as long as possible. 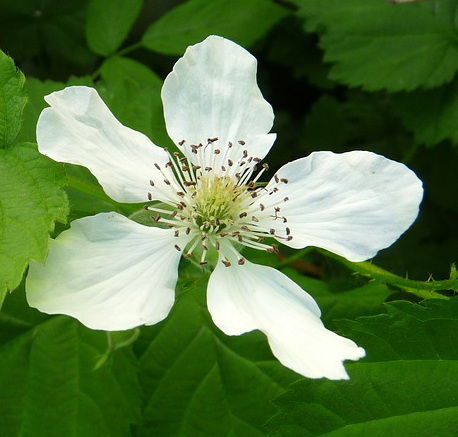 Loganberry can be used in masks that help reduce wrinkles. They also contain vitamin C and other nutrients that fight against that damage from sunlight. It can also help treat acne, eczema, and pimples. It is essential to keep your immune system strong to keep you healthy. Vitamin C is an anti-oxidizing agent and loganberry has it. Including the fruit to your diet can help boost your immune system along with your general health. Strong immune system helps to keep several illnesses at bay. Include loganberry in your diet to strengthen your immune system. Being a woman is never easy. We need to take distinctive care of ourselves, mainly when expecting. Pregnant women need to produce a lot of DNA. Folate is what helps in its production. If a woman is lacking in folate, it can lead to neural defects in the baby. It is also great for lactating moms and even single ladies. You can make things easy for yourself by adding this powerhouse of nutrients into your diet. Loganberry is best option if you are trying to lose some weight as it is loaded with dietary fiber and low in Saturated Fat, Cholesterol, and Sodium. Manganese found within it helps to increase the metabolic rate, while the fiber keeps you feeling full for a long time. 150 grams of Loganberry has just 80 calories, so you can eat less, have more and stay full with just one food. 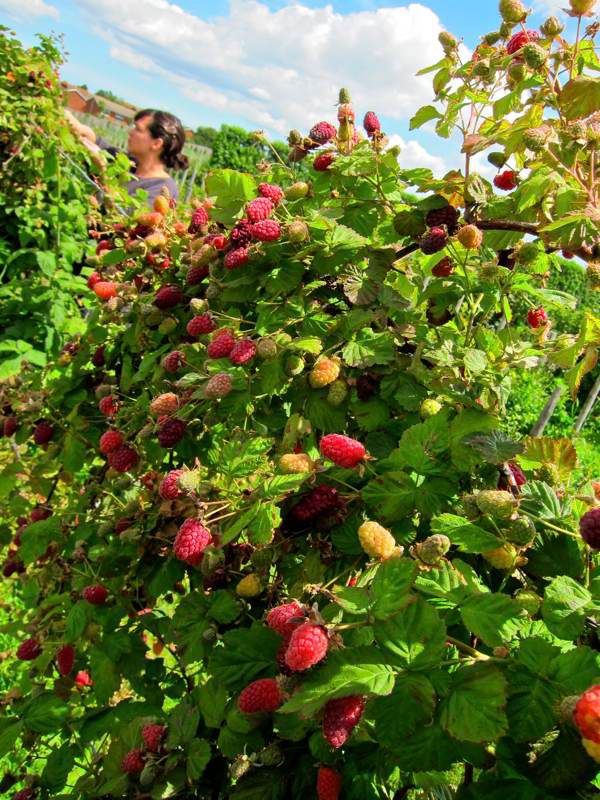 Daily intake of loganberries completes our daily requirements of vitamin K in our diet. Vitamin K is a significant factor in blood clotting. It helps in supporting the synthesis of proteins for healthy bones and tissues. Vitamin K helps the blood clotting, without which the problems related with bleeding arise. As we obviously know that, respiration is a very vital function of the human body. Frequent consumption of Loganberry is considered beneficial for dealing with respiratory problems. Since it consists of Vitamin C, it can be wonderful for people with asthma. Loganberries are enriched with folic acid or vitamin B which is very much important for the body for producing DNA. Folate plays an important role in tissue development and cell division. Daily consumption of folic acid is very much important for pregnant in order to prevent folic acid deficiency and neuronal defects in infants. 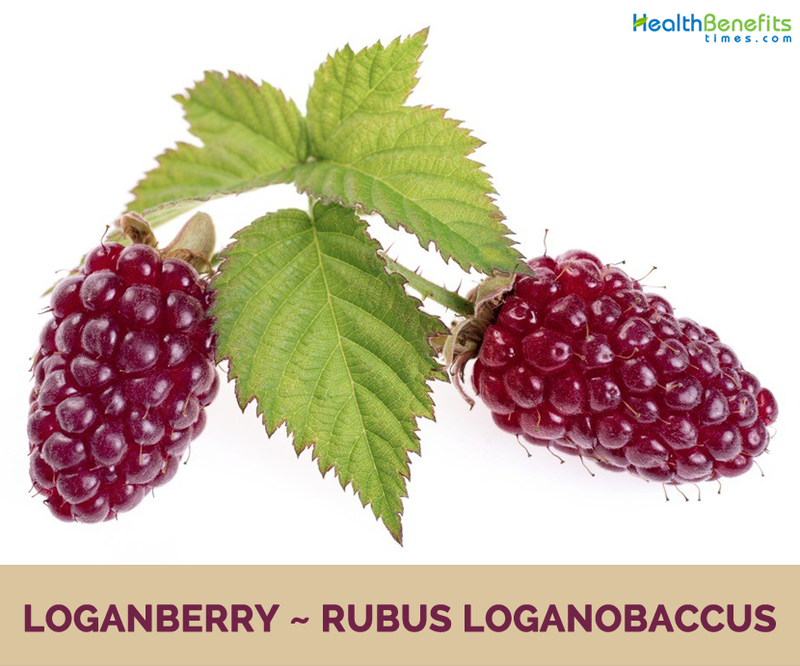 Loganberry is fortified with manganese which helps in proper development of tissue and bone. It helps in proper functioning of the brain and nervous system. Optimum dose of manganese is very much important to treat various diseases premenstrual syndrome, diseases. As we have mentioned before loganberries is loaded with dietary fiber. They help in combating various problems arising due to deficiency of fiber. Consumption of high dose of fiber lowers the risk cardiovascular diseases, gastro intestinal diseases, obesity and diabetes. Loganberry is useful to prevent cancer because it has high antioxidants. Vitamin C in loganberry is beneficial to prevent lung cancer. Loganberry can also prevent prostate cancer. Loganberry is also beneficial in improving and maintaining energy in the body. Research shows that loganberry is beneficial in lowering blood sugar levels in the body – very beneficial for diabetics. Loganberry offers general health to your bodies such as preventing colds, flu, gout, stress, anxiety, fatigue and depression. 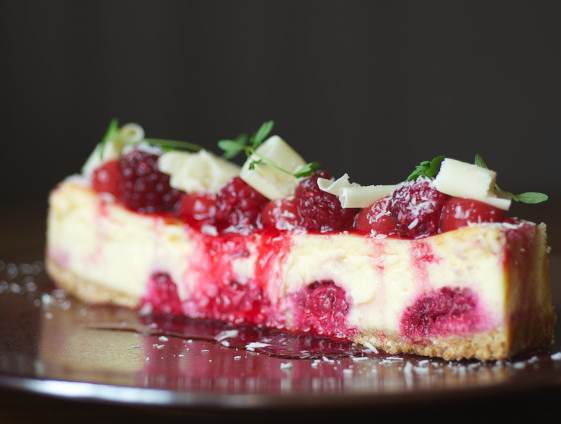 Like other berries, loganberries are useful for fighting inflammatory and autoimmune diseases. 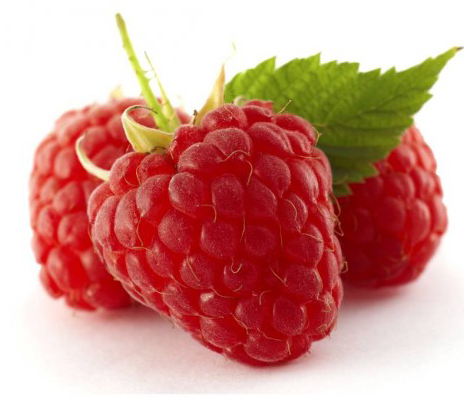 Vitamins and minerals in loganberries act as anti-aging and nourish your skin. 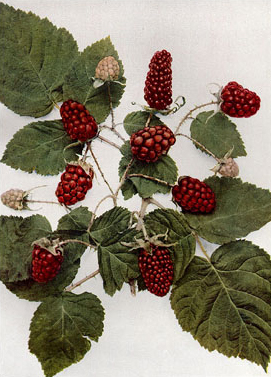 Loganberries may be eaten fresh without preparation. It is used for juice or in jams, pies, crumbles, fruit syrups, and country wines. 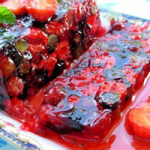 Loganberries can be used interchangeably with raspberries or blackberries in most recipes. 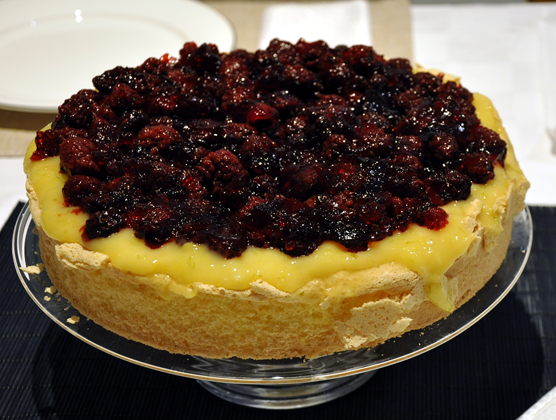 In the UK fresh or canned (tinned) loganberries are often paired with English Sherry trifle, or their juice (or syrup) paired with the Sherry wine. Loganberries can be used in savory uses along fresh, creamy and aged cheeses, sausages, pork, prosciutto, lamb and within fresh salads. 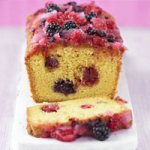 Loganberry muffins are a popular offering at bakeries in the Pacific Northwest. In a hot pan place the sugar with the vanilla and cinnamon. Start adding the berries, firmest first and softest last and then the orange juice. Cook the berries for approximately 5 minutes and remove from the heat. Chill them in the fridge. Warm the wine and port in a pan. Soften the gelatin in a little cold water and slowly add to the wine. Once it is all incorporated place it in a flat container and chill it. 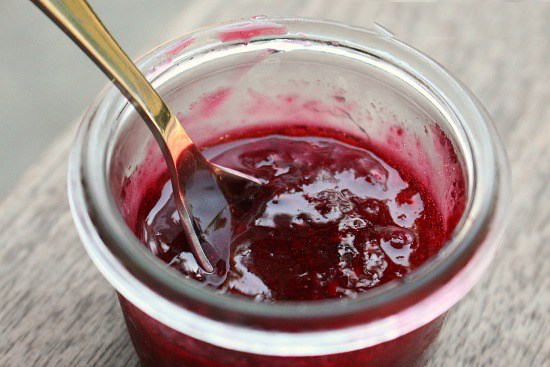 Once the jelly has set, place it on a clean cloth and chop the jelly into small crystals, then put it back in the container. Spoon the jelly into the center of the plate and drizzle the berries around it to serve. Preheat oven to 350F and grease a 8″ round baking pan very well. Sift first three ingredients together with 1/2 cup sugar. Beat egg; add milk and butter. Combine with dry ingredients only until no dry flour is evident (do not beat). Pour into prepared pan and sprinkle top with the berries. Cover with the remaining cup of sugar. 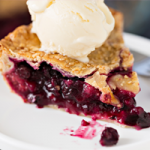 Roll the pie dough into a large circle and line your 9-inch pie plate with the dough. Roll the second piece of dough into a large circle and set aside. This will be used to close the pie. In a small bowl combine all your ingredients, making sure to coat evenly. Pour your berry mixture in to the prepared dough lined pan. Place the top crust over the pie and trim, then crimp the edges. Cut vents in the top to allow steam to escape. Cover the edges of the pie with foil so it doesn’t burn. Bake for an additional 15 minutes until the filling bubbles. Each bush can produce 7 kg to 8 kg (15 lb to 18 lb) of fruit a year. Plants continue to fruit for around 15 years. 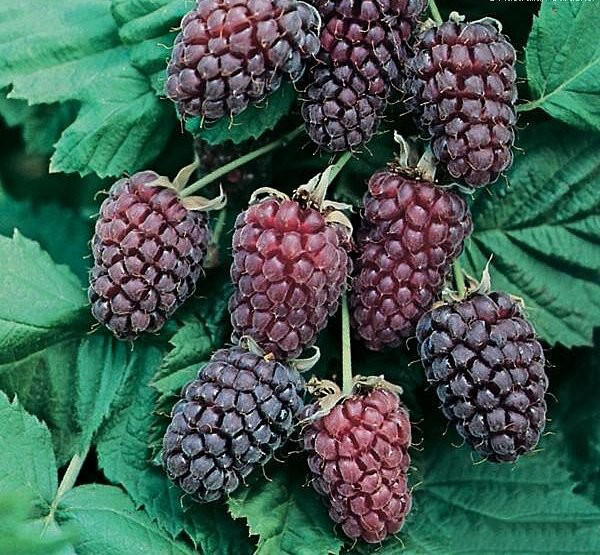 Loganberry is used as a source of breeding material for the development of Rubus hybrids. Those who are allergic to blackberries and red raspberries and have never had loganberries should take precautions before trying them. 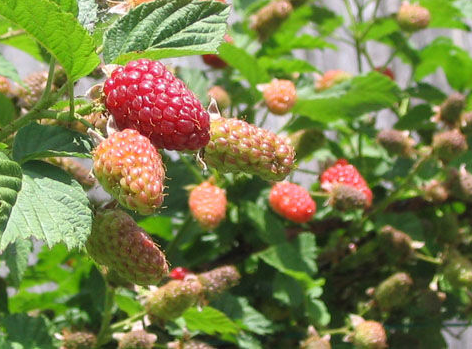 Loganberries do cause allergic reactions in some people. Loganberries are also known to cause weight gain so do not eat handfuls of them if you are trying to lose weight. 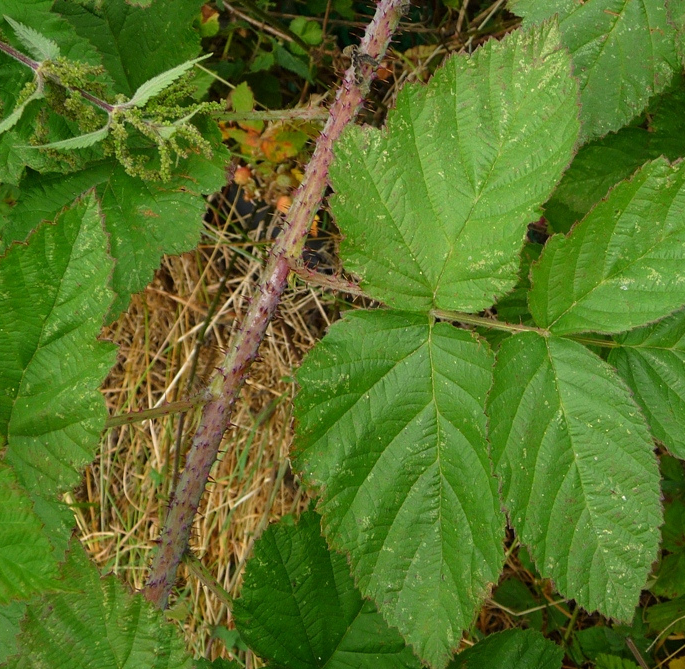 It may not be safe to use loganberry leaves for long periods of time, it may cause nausea and vomiting. Persian: میوهتمشک قرمز رنگ که انرا تمشک خرس مینامند,, روبوس لوگانوباکوس . 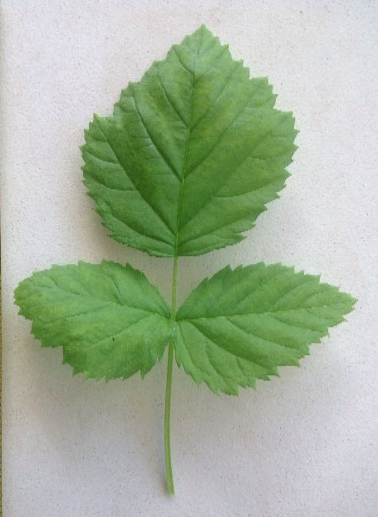 Leaf Imparipinnately compound, with 3, 5 or rarely leaflets; the terminal leaflet is larger than the rest. Flower Inflorescence is sub corymbose with 6–12 flowers. Sepals rarely with prickles. Due to its high vitamin C content, the loganberry was used by the British navy at the beginning of the 20th century as a source of vitamin C to prevent sailors from getting scurvy. Calories 81 K cal. Calories from Fat 4.14 K cal.